Electroless nickel coating is a novel method of coating which can be developed in various combinations of alloys and composites each having its unique set of characteristics. Electroless nickel coatings are mainly used for wear and corrosion resistant properties. However, additional characteristics like smoothness of deposit, low friction, descent plating rate, electrical and magnetic properties also make them suitable for a host of applications. The properties of electroless nickel coatings depend mainly on the electroless solution ingredients as well as deposition conditions. Important deposition parameters include bath temperature, concentration of nickel source, concentration of reducing agent, pH of the solution, concentration of surfactants, and so on. Moreover, heat treatment is found to modify the microstructure of the coating and influence certain properties viz. hardness, wear resistance, corrosion resistance, etc. 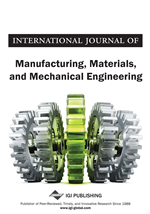 A large number of works have been published by the researchers on the evaluation of electroless nickel coating performance on the basis of hardness, roughness, corrosion resistance, friction and wear resistance for various types of coatings and substrates. Several approaches are proposed in the literatures to solve the problems related with optimization of these parameters. It is felt that a review of the various approaches developed would help to compare their main features and their relative advantages or limitations which will enable to choose the most suitable approach for a particular application and also throw light on aspects that needs further attention. In this regard, the present paper presents a review on the developments done on the optimization of electroless nickel coatings to increase its efficiency. Electroless coatings, developed by Brenner and Riddell (1946) are formed as a result of a chemical reaction between reducing agent present in the solution and the metal ions. The reducing agent reduces the metallic ions in the solution while itself getting oxidised. In contrast to the electro-deposition method, electroless nickel requires no external source of electricity. Continuous build-up of the deposit occurs as the metal being coated; itself acts as the catalyst for the reaction. Large variety of electroless nickel coatings exist as defined by their composition, each having its unique set of properties. Hence, application of electroless nickel can be found in virtually every industry (Brenner & Riddell, 1947). The significant properties of electroless nickel coatings are enlisted in Table 1. Innumerable advantages in application of electroless nickel have been perceived by the industry for the last five decades. At present, except for some minor hitches, the benefits and attributes for electroless nickel alloys and their technologies are well defined, understood and accepted by many industries who utilize the deposits for a variety of applications. The industrial uses of electroless nickel especially the nickel/phosphorus alloy has grown steadily during the last decade, mainly because of its corrosion and wear resistant properties. Moreover, some recent uses of electroless coating include application in the fields of engineering (Mallory & Hadju, 1991), surface science (Domenech, Lima, Drago, De Lima, Borges, & Avila, 2003), separation and purification technology (Huang, Wei & Chen, 2003) and the likes (Krishnan, Praveen,Ganesan, Kavimani, John, & Srinivasan,2006). Electroless nickel processes can produce a wide variety of deposit types. This versatility has helped electroless nickel to carve out a niche in the coating technology market (Mayer, 1993).